It’s time for a change and time for me to see if what I have learnt throughout my life will help or hinder me as I attempt to move into the future. Experiences can be an anchor or a propeller and I am interested to see what mine have become. So to those of you who are new to my meanderings welcome while those who are returning and know how I like to speak my mind while attempting to be humorous and insightful, welcome back. I base all of my posts from the perspective of an individual who has spend a very non-traditional life due to a disability in, what was, a very traditional Canada. That was the time when Father Knows Best and Leave it to Beaver ruled the air waves. Those were the days where Clint Eastwood played Rowdy Yates and didn’t sit there talking to an invisible president in an empty chair. Those were the early days of this new world of information and the beginning of the age of electronic media. 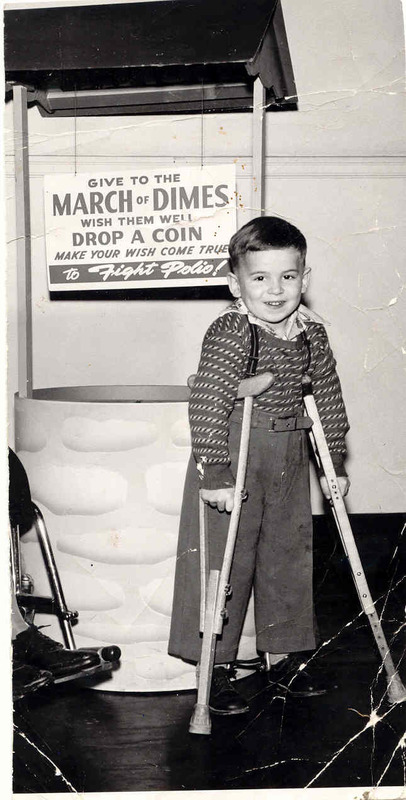 As a brief introduction I survived polio at age three and grew up walking on crutches. Contrary to what many people tell me I prefer to see myself as architecturally impaired. Having never known any other way of life, I avoid labels like disability. I am very aware of the importance of words and semantics. I am who I am and a disability does not define me otherwise I would have to confront society on the fact that my biggest disability is YOUR attitude. After almost sixty years I have developed many of my own insights based on being that round peg in the square hole which contributes to many of my thoughts. My thoughts and comments are based on the experiences I have had throughout my life. My independence has always been of the utmost importance to me and I have lived my life accordingly. I have always worked and been responsible for my own life. I have been married, am a father, now a proud grandfather and I have done this on my own like most members of society. Contrary to popular belief there are no magic government benefits programs out there that contribute to much of a life with dignity. Unfortunately the programs that are there are really poverty traps. You may get some support but you give up a lot of independence and often dignity. As a child I spend almost eight years in a children’s hospital because that was the way it was done in the 50’s and 60’s. Terms like inclusion and accessibility were not even known then let alone practiced. When you combine my childhood with the experience gained working in the health care system for the first twenty years of my career I have watched as health care and numerous other social programs have developed since the 50’s. One thing my polio did contribute to was my life long commitment to the principles of social activism. I say that with some confidence because I am but one of six siblings however I am also the only one of those siblings who has a passion about social activism and social justice. In fact some of my siblings don’t even recognize the concept of social justice. The more I try to impress it on them the more alienated some of them have become towards me. I have developed many of my own insights on those developments from the perspective of someone who could benefit from the direction those social programs have taken Canadian society. I have watched and participated in many of these developments which is reflected in many of my thoughts and comments. Terry, I don’t know if you would remember me but I was with Rob Goedel, WAY Back in 1974/75! Toronto. YIKES. I do remember you, and i remember you visiting “us” that Xmas. Was just perusing some pics from that time & there are some of you too! If you’d like a catch up please feel free to write me. I can relate to some of your issues as my late partner was in a wheelchair the last 5 and half years of his life. Great to see/read your blog! Many thanks, keep up the important work, Lloyd. Hello Terry: I saw your letter to the Calgary Herald and would like to make email contact with you regarding your early polio years. My reason is that I have written a novel where the main character is a polio survivor and now in his 50s is experiencing PPS. It is my third novel. My website is http://www.graemeconnell.com and email is graemekc@telus.net.